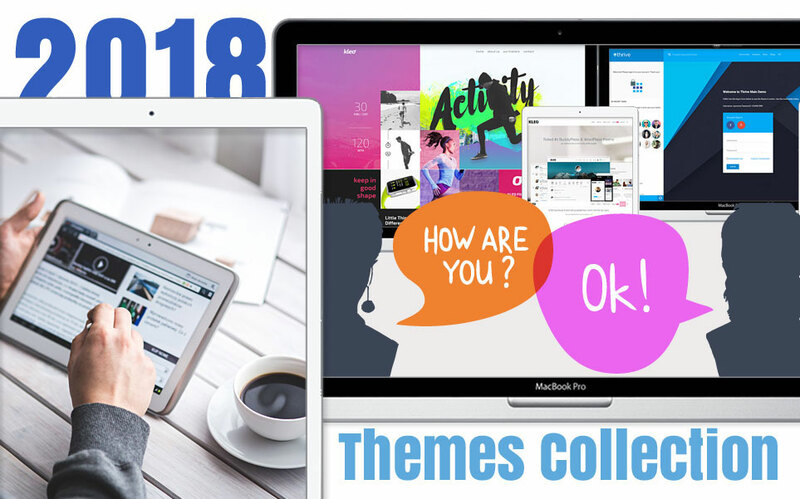 ThemesBest Themes Collections 20186 Best Social WordPress Themes 2018 You Won’t Regret Buying! The Woffice – Intranet/Extranet WordPress Theme is designed and developed as the powerful Multipurpose Intranet WordPress theme with strong 5k+ satisfied customers! This theme is perfect for building intranet / extranet web sites for companies (not only). This feature-rich theme comes with lots of customizable sections, contains Project Manager, Slack Notifications, Member Dashboard, Members Directory & Map and Calendars & Events! 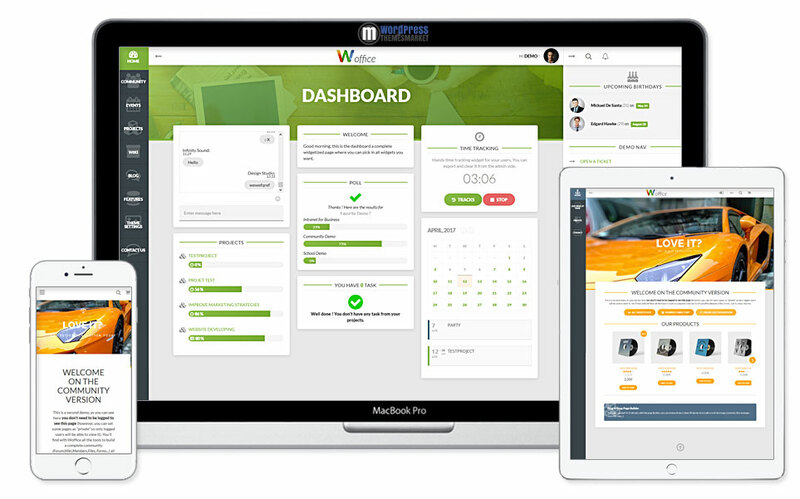 I will also tell you at least 5 reasons why you have to get this theme – 5k+ satisfied customers, feature-rich theme, top-notch support 24/7, 20+ demo pages, premium built-in plugins such as page builder Visual composer, Essential Grid and Revolution slider (for other reasons, check this theme on your own – Tho Woffice – Intranet/Extranet WordPress Theme). Thrive is a community theme offering everything that a community & intranet needs, y’know from integrated buddyPress to Event calendars on clean and minimalistic awesome frontend. Thrive’s developers aim to create professional community-based theme that is perfectly suited for all who loves to be socialized everywhere. 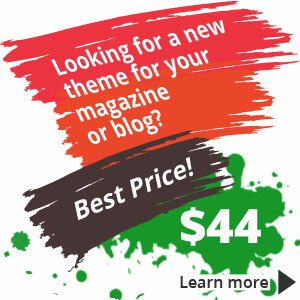 This theme offers almost every feature that you would need for your community web sites. This theme allows you to set and publish events, manage users, messaging (live) and other stuff very easily. Thrive theme is packed with well-known premium plugins such as Visual composer and Revolution slider. You also get lots of features like RTL and WPML ready. Beautifully crafted Sweet Date is an unique, clean Wordpress Dating Theme that is perfectly-suited for a dating or for a community web sites. Highly experienced developers added all the things you need to create a perfect community system. You get compatibility with WPML, bbPress, buddyPress, Gravity Forms and well-known premium plugin the Revolution slider . Also, you get Membership Subscriptions, Facebook Login/Register integration, Online Status, Ajax Instant Search and much more. 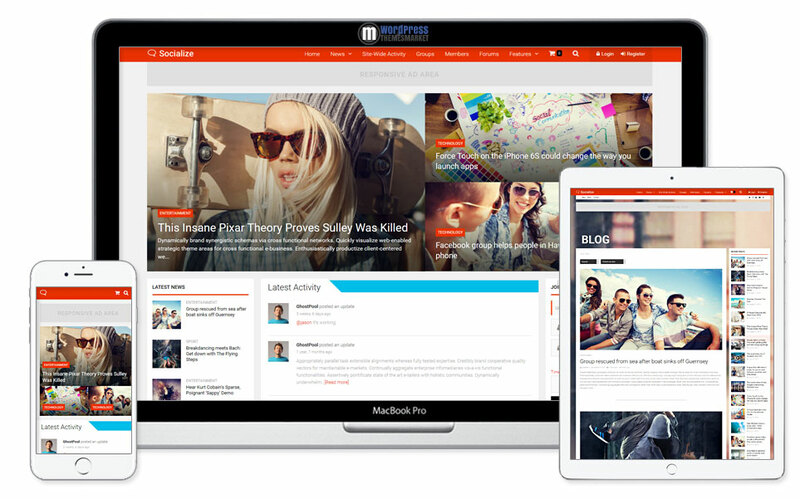 Socialize is a premium Multi-Purpose BuddyPress Theme built for community or social network and another sort of socialize stuff that are in need of community web solution that concentrates sign up members on web sites. It is just a community theme that contains socialize perks such as budyPress or bbPress. This minimalistic theme is a right choice who wants to create community / socialize web pages fast and clean. Its simplicity is a top-notch among community themes! This theme is packed with a well-known premium plugin page builder Visual composer. Also, you get multiple community layouts, AJAX filtering, fully responsive layout, events calendar, total customization, powerfull menus and one click simple installation. 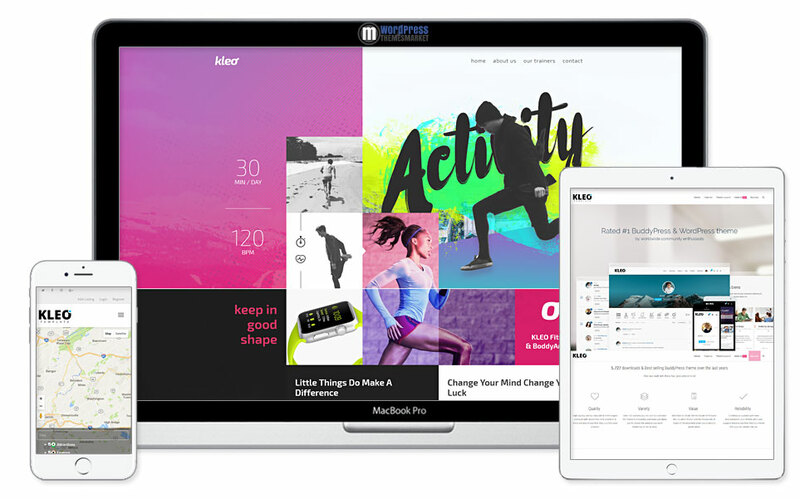 KLEO is a responsive, clean designed socialized community focused theme that offers so many features. Thousands of satisfied customers use this theme as a right choice for its value. This theme is packed with tons of features. Among these includes well-known premium plugins such as Revolution slider, Essential Grid, Page builder Visual composer, compatibility with tons of other plugins – WooCommerce, Gravity Forms, Contact Form 7, WPML ready budyPress, bbPress and far far more! For its value you save lots of money, y’know you get so many premium plugins for free! You can build professional blog, a community, stunning portfolio or bussiness stuff and mindblowing e-commerce store using WooCommerce plugin! This responsive bootstraped theme includes easy 1 click demo installation, oustanding support, lots of demo homepages, widgets and shortcodes. 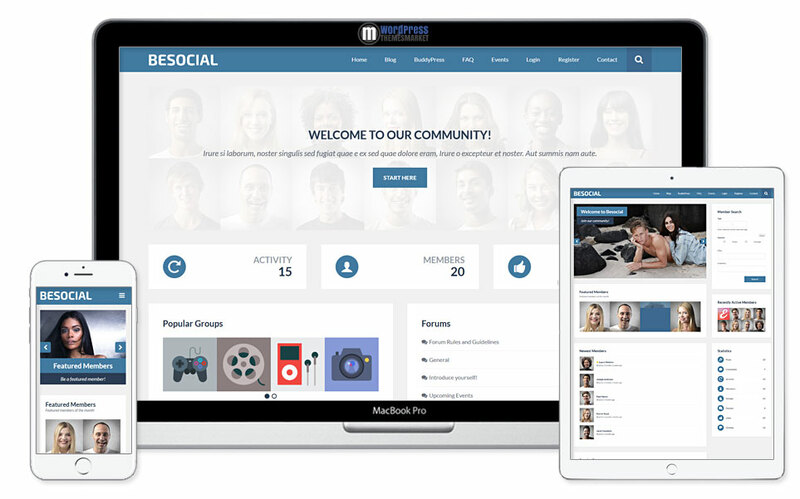 Besocial is an amazingly visually polished and incredibly tech-savvy, flexible and responsive BuddyPress Social Network & Community WordPress Theme that is perfectly suited for socializing. This theme integrates seamlessly with all BuddyPress features like extended profiles, friend connections, private messaging, activity streams, notifications, user groups, powerfull responsive design, powerfull theme options, featured members, sitewide stats and lots of other stuff. Also, you get 20 awesome custom page builder widget, Built-in Facebook Comments: Built-in Facebook comments feature makes it simple to add the Facebook comments system to your WordPress website without any hassle, 700+ Google Fonts, RTL ready. Here is the list of 5 best Social WordPress themes you won’t regret buying! 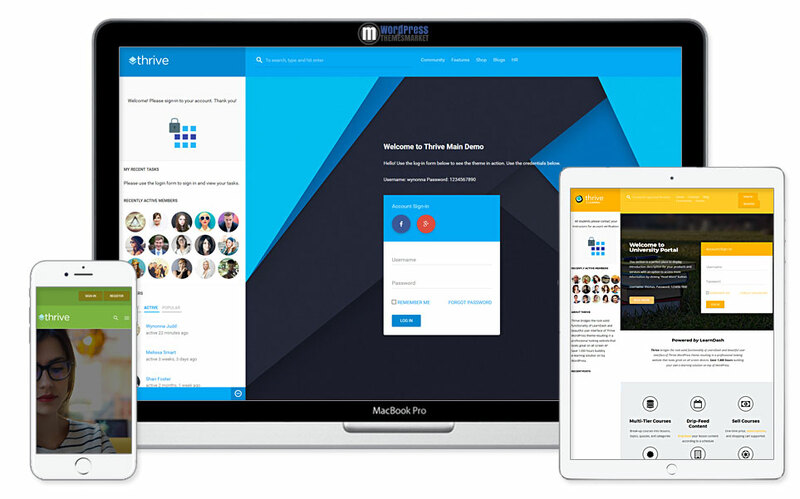 Another fact is that you will get for that price multipurpose socialize, community, school, dating, intranet, extranet WordPress themes with already built-in well-known premium plugins and other rich features of managich social and community stuff. If you love social and community networks, you should probably won’t miss this list of 5 fully Social WordPress themes that I find suprisingly very clean, minimalistic and easy to use. These Socials themes are suitable for school, dating, intranet / extranet projects.